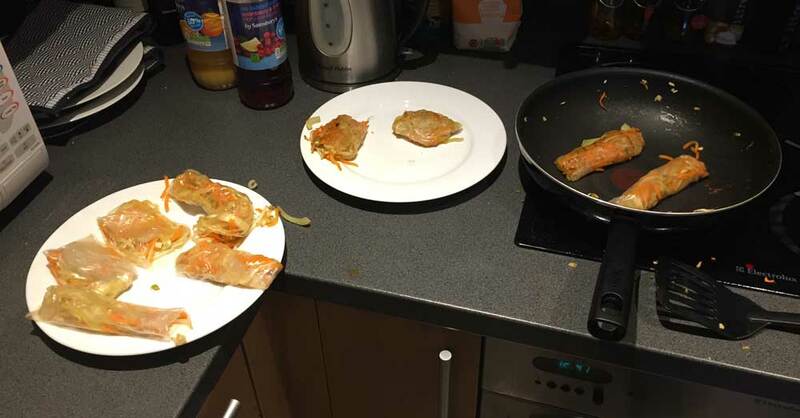 Have you ever tried to make your own spring rolls? 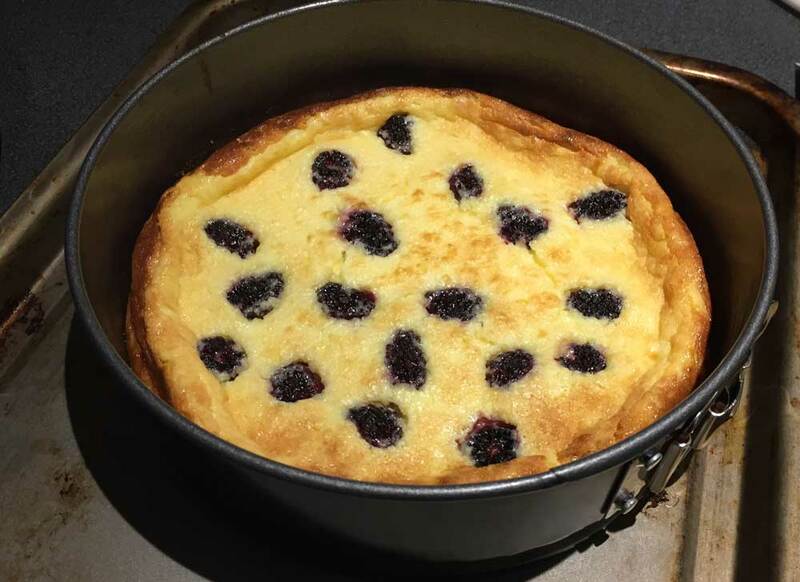 I have tried several times, from several different cookbooks. It is difficult. First, you have to get the rice paper in a bowl of water. Th is hard because it does not bend much without cracking. I usually manage to crack it on the way in. Then, once it’s in, god help you if you put it near another spring roll because they stick together like crazy. Then you add the filling and try to roll it. I was told to tightly roll it, so I did. The filling squirted out the end. This happens every time, even though I never manage to get it that tight. Finally, you have to cook them. Keeping your oil at the correct temperature and preventing them from sticking together, leaking filling or exploding all at the same time is an art. It could be that spring rolls happen to be a weakness for me. However, I suspect it might be that the subtle art of making spring rolls is difficult to communicate in a cookbook. Does anyone have a more positive experience? What are the secrets? Have you ever thought to yourself “I wish I could eat more kale, which genuinely is a super food, but it just tastes so boring”? If so, never fear. I have found a solution that will have you eating kale until it comes out of your ears. The solution: combine it with a second super food. In this case, bacon. Everyone knows bacon is a super food, of course. It cures hangovers. It comes from a magical animal, one that produces chops, ribs, gammon and much, much more. Best of all is the unmistakable smell that comes down the corridor as soon as someone starts frying it. I used pancetta, but any type of bacon will do. Start by cutting it up into small pieces. Next, fry it in a pan until crispy. While you are doing this, steam the kale. When they are both cooked, toss to mix. 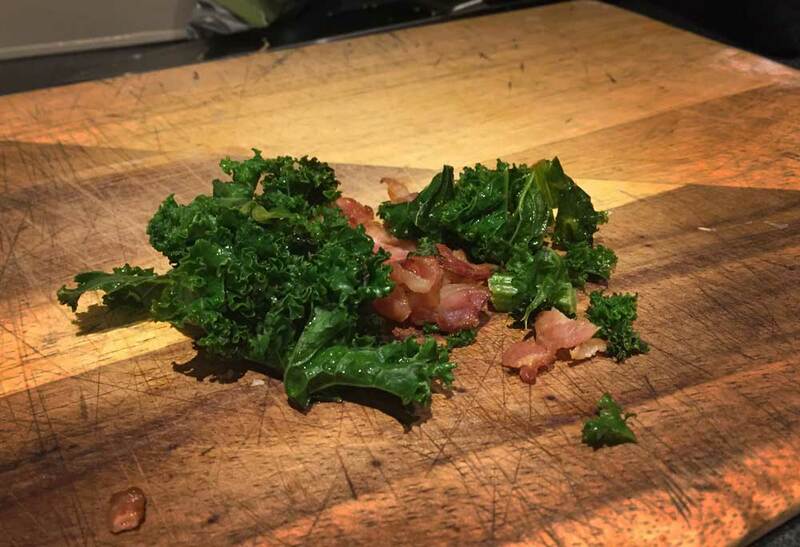 Or, if you want to get more of the bacon flavour into the kale, cook the bacon first and then toss it with the kale. If you have the bacon crispy before it goes in, it should not go soggy during steaming. 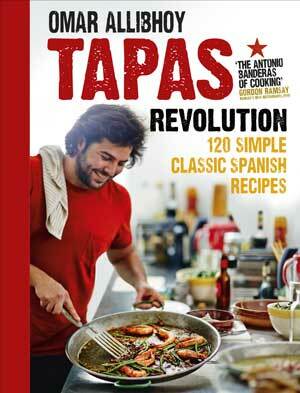 Tapas Revolution is a cookbook by Omar Allibhoy. 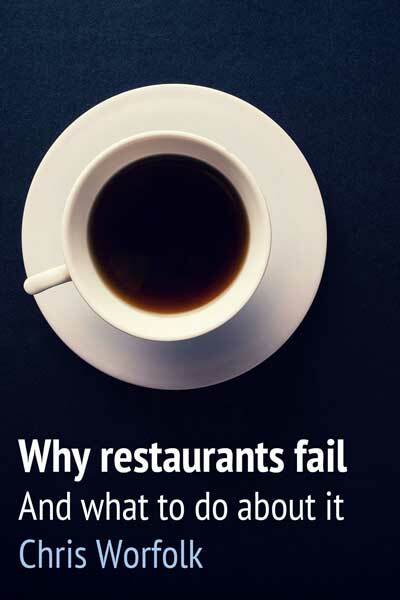 Omar hails from Spain and previously worked at elBulli, which, between 2006 and 2009, was voted the best restaurant in the world four times running. 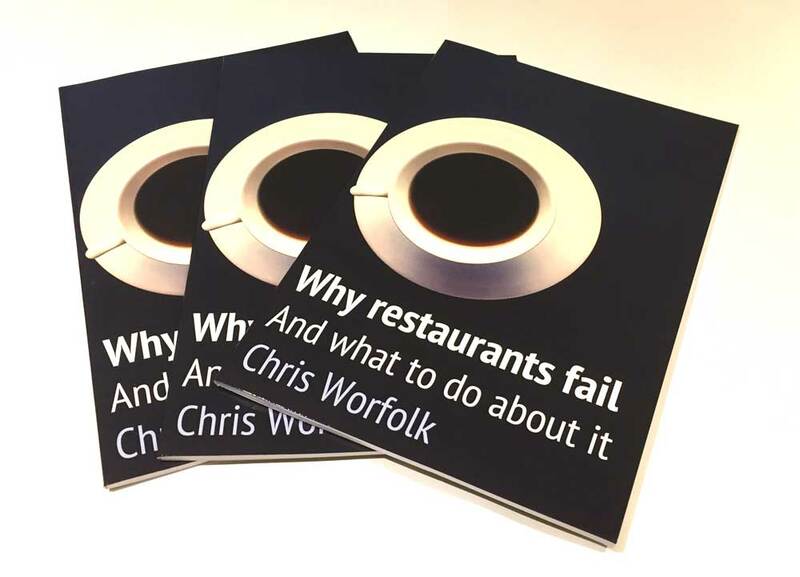 Now he runs a chain of UK-based restaurants by the same name as his cookbook. 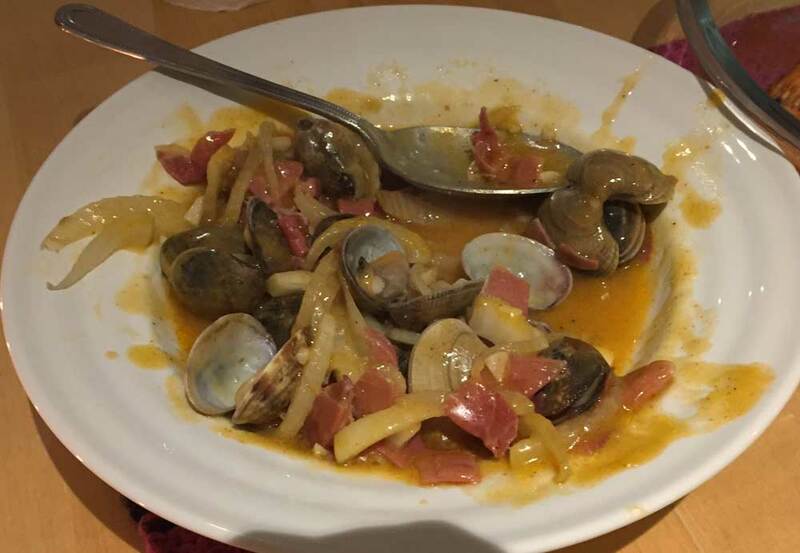 Tapas is usually associated with small dishes. However, most of the recipes Omar includes are big meals. Typically, the dishes involve frying a lot of garlic, throwing in some chorizo, and then maybe adding a few more ingredients. We are pretty sure we set a new chorizo-eating record somewhere towards the end of tapas month. Some of the recipes were a bit lacking on the instructions. 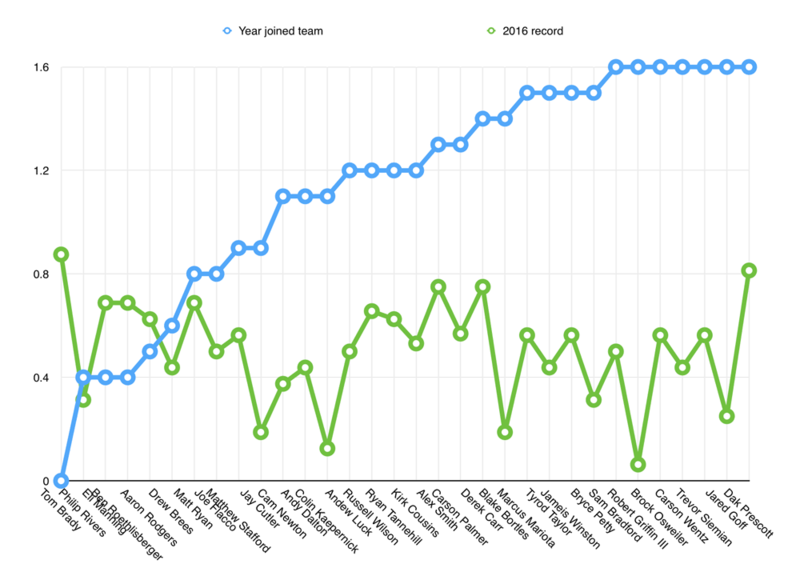 A bit of filling in the blanks, and adjusting the quantities to something more sensible. Other dishes were beautifully simple to implement. My favourite recipe in the book is the still lemonade. 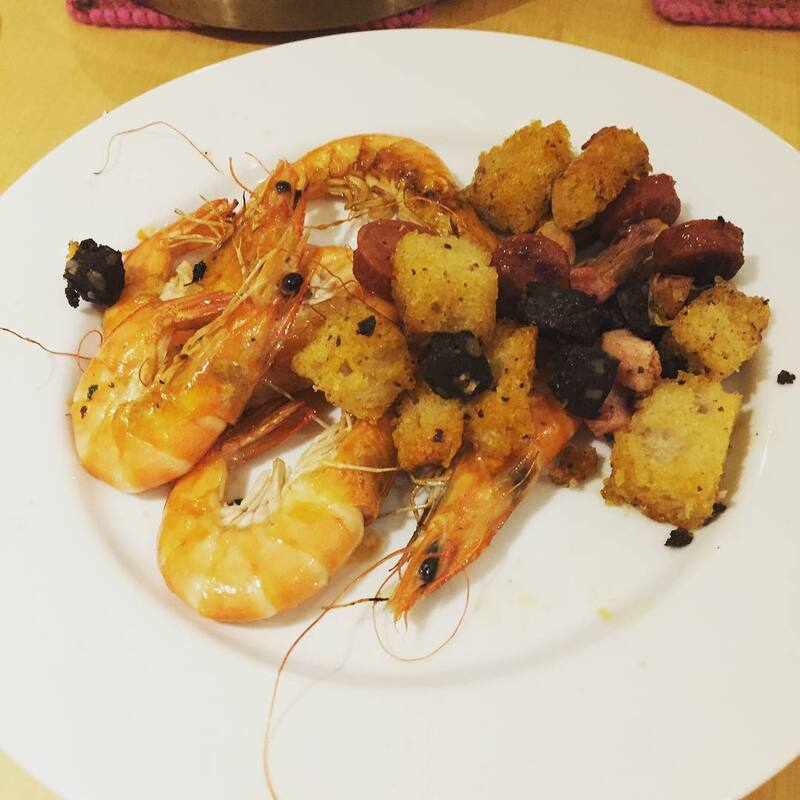 Prawns with chorizo, black pudding and fried bread. 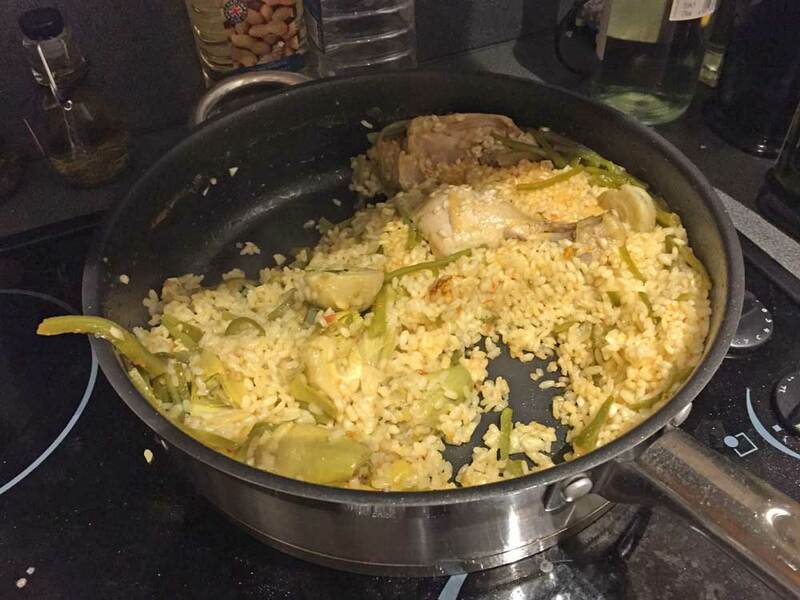 Chicken paella. I only put half the amount of water in that the recipe indicated. Even then, I was incredulous. “This is never going to work”. But it did; it all came together at the very end. Creme caramel. 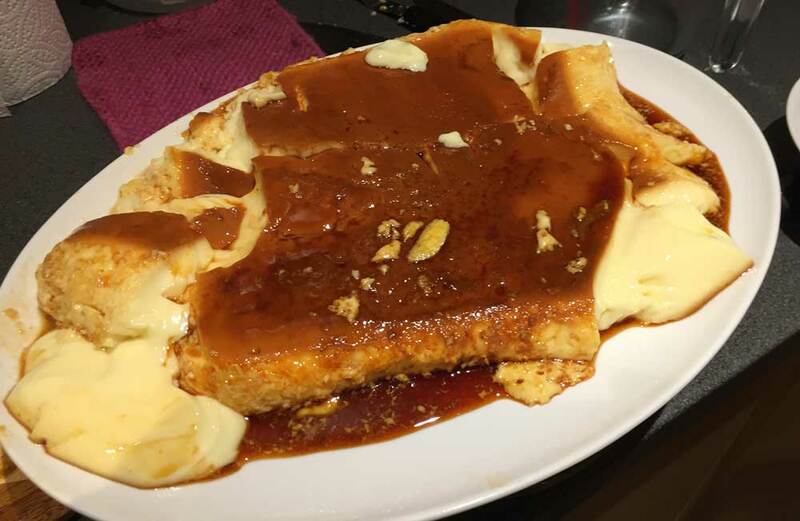 The instructions for making the caramel are very unclear, but it turned out edible. It was a fun book. Most of the recipes were quick to cook. Those that were not, could be left unattended while you did something else. Some of the instructions were frustrating, but there are definitely recipes in here that I will be going back to. If nothing else, it provides simple recipes to cook things like prawns and chorizo in a tasty and uncomplicated way. 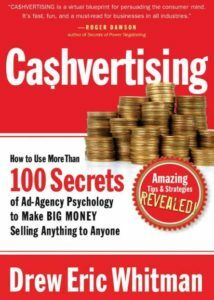 Ca$hvertising: How to Use More than 100 Secrets of Ad-agency Psychology to Make Big Money Selling Anything to Anyone is a book on marketing by Drew Eric Whitman. In the book, Whitman has essentially boiled down the rules from the great marketing writers, the big ad agencies, and his own experience into a set of simple-to-follow rules. There are constant quotes and references to names such as Hopkins, Ogilvy and Cialdini. Be begins with a short introduction to psychology, goes on to state the basic principles of marketing and then systematically goes through the rules he has laid down. It is accessible, implementable and fun to read. 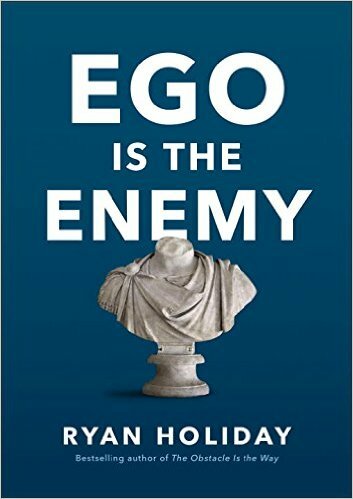 Ego Is the Enemy is a book by Ryan Holiday. It made for rather uncomfortable reading for me, which means it was important. I wish I had read this book for ten years ago. Holiday discusses the role that ego has played in important historical figures, the people around him, and in his personal life. The effect is almost always negative. Ego is a destructive force and one of the biggest factors in whether you are successful in your life is whether you can keep it under your control or not. Even those who seem to use ego, are ultimately laid low by it. Steve Jobs, who many regard as an egomaniac, really did his best work when not driven by his ego. His ego led to him being fired by Apple the first time around. It was only when he put it aside and started working again from the ground up that he built something amazing. He holds Howard Hughes up as the ultimate cautionary tale of ego getting the better of you. We do not see most of the people who fail because they disappear without a trace. However, Hughes inherited so much money that he could just keep going in his folly. He built the Spruce Goose, it flew once, and then he stored it in a warehouse at a cost of $1,000,000 per year. For 15 years. A period that only ended with Hughes’s death. You can be successful and have an out-of-control ego. 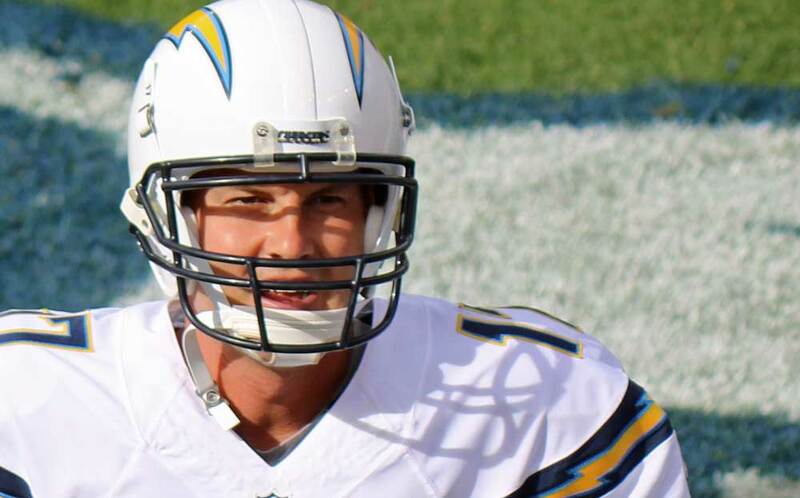 But this is the exception. Take Kayne West for example. He is one of the greatest rappers of all time. But, after all of that, he is in huge personal debt because he keeps trying to launch a fashion label; something he knows nothing about. 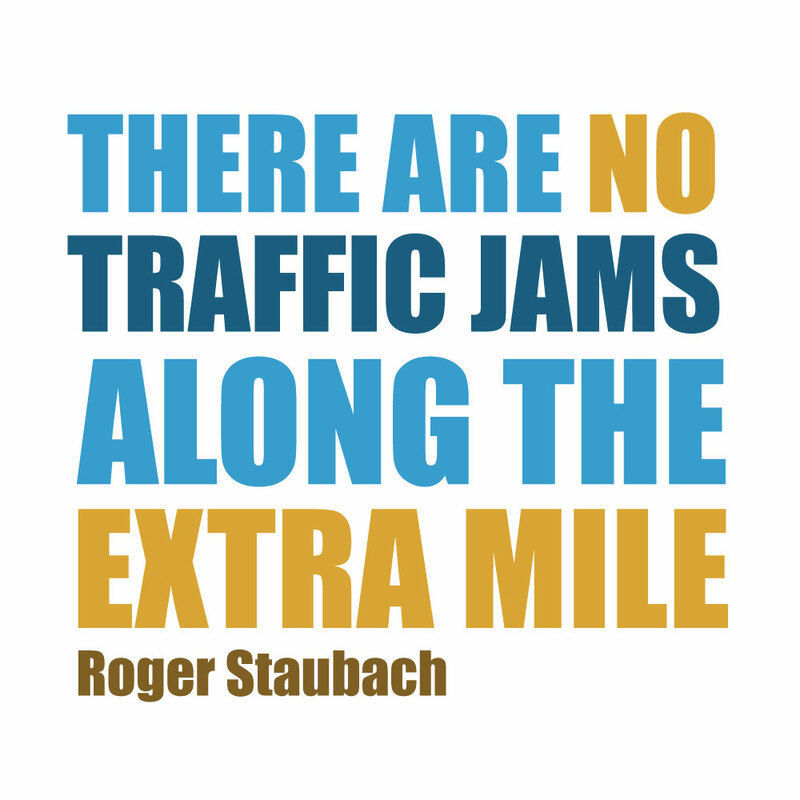 Contrast this to those who shun the limelight (as much as you can when you are successful). Angela Merkel in her third term as the Chancellor of Germany. Bill Belichick, who has taken the Patriots to the Super Bowl six times, and won four of them. It also gave me a new favourite quote, from John Archibald Wheeler. When I look back at my own life, ego has been a destructive force. Looking back, I can see plenty of incidents, especially in my charity work, that were clearly driven by ego. More often than not, these situations played out badly for me. It also matches up with what Dacher Keltner writes in The Power Paradox. When are are successful, the success quickly rises to our heads. We become the authors of our down downfall, because are unable to keep our ego in check. This book is an essential read and one that I will be coming back to again and again. 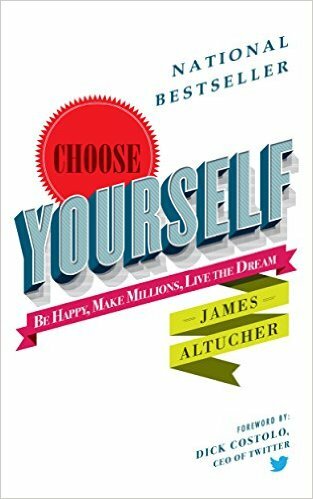 Choose Yourself: Be Happy, Make Millions, Live the Dream is a book by James Altucher. In it, he advocates that working in a corporate environment, or indeed working for anyone but yourself, does not work in the Choose Yourself era. I had not read anything of his before and his style quite different to most writers. It is manic. It reads like he wrote it while on cocaine. He rants about how the system is broken, university is pointless, buying a home is a bad idea and we are all going to be replaced by robots. Some might find it engaging, though personally, I found it a little inaccessible. Once you get around the style, the underlying content is interesting. It clicks with a lot of the things I have been reading recently. There is stuff in here about self-care, thinking positively and making changes. It seems sensible. He thinks gluten-free is a scam, for example. He talks about oxytocin too, though does not cite any sources. He gave a talk about this at TEDx. We moved into our apartment three years ago. We are on the fourth floor, but the building goes much higher. For years, we talked about going up to the top floor and seeing what the view was like. But we never did. I am not sure why. It felt silly to schedule it in, but we never felt like a spontaneous trip. Turns out that the view up there was not that exciting. 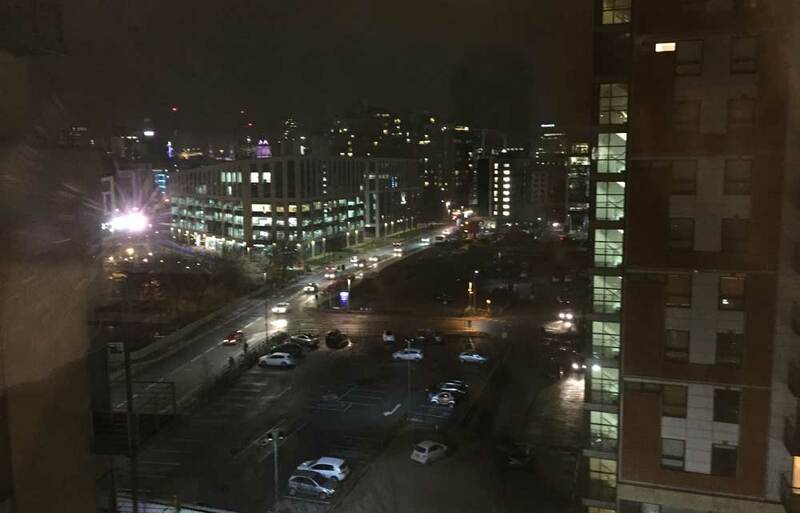 It looks a lot like the view from our balcony, but with a slightly better overview of the car park. Probably not worth the three-year wait… You can at least see the town hall in the way we used to be able to become MPEC built more of their offices.